This case was designed and built for Avex Inc. 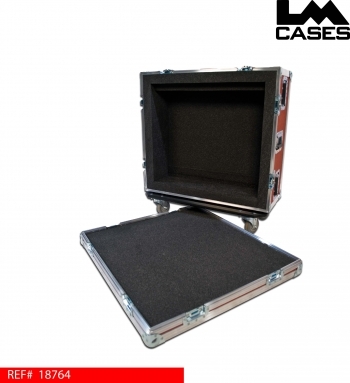 The case features a 2" foam lined interior, and custom foam blocking to keep the mixer in place during transportation. 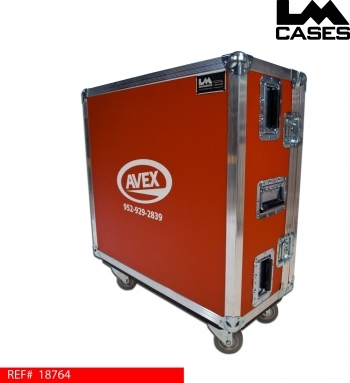 The case is built out of 3/8" plywood laminated with red ABS plastic. The exterior of the case features a custom silkscreen of the customer's logo, 7 handles, and 3.5" Colson casters. Special thanks to David & Tim @ Avex!